Looking for the perfect Luxury Boat Charter Getaway in the Algarve? 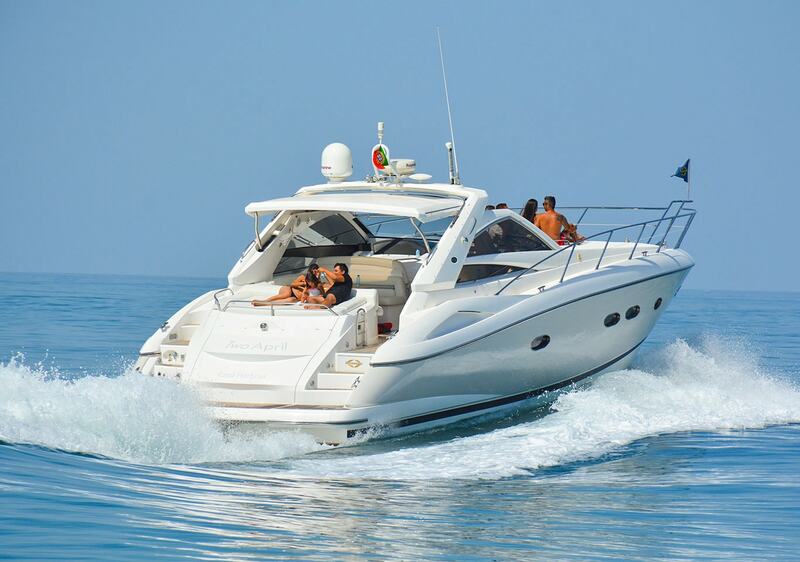 Our Majestic Sunseeker Portofino 53 is your choice of preference! Majestic, our new Sunseeker Luxury Boat Charter is exactly what you are looking for in a Luxury Boat Hire in the Algarve. 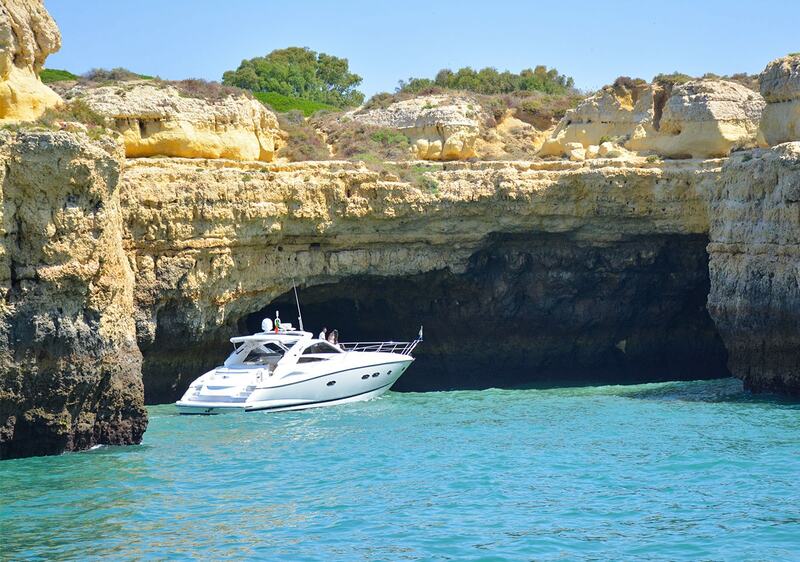 This Sunseeker Portofino 53 is perfect for exploring some of the most beautiful and remote parts of the sunny Algarve, with her own RIB boat in the garage, this Luxury Yacht Charter Cruise allows you to delve deeper into the caves along the coastline. 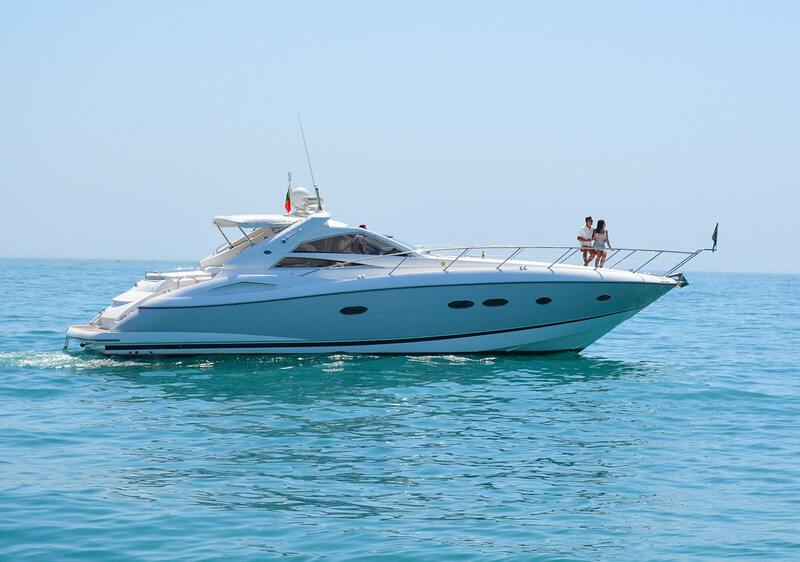 At Champagne Cruises Vilamoura, we offer the definitive in Luxury Algarve Boat Charter Experiences. 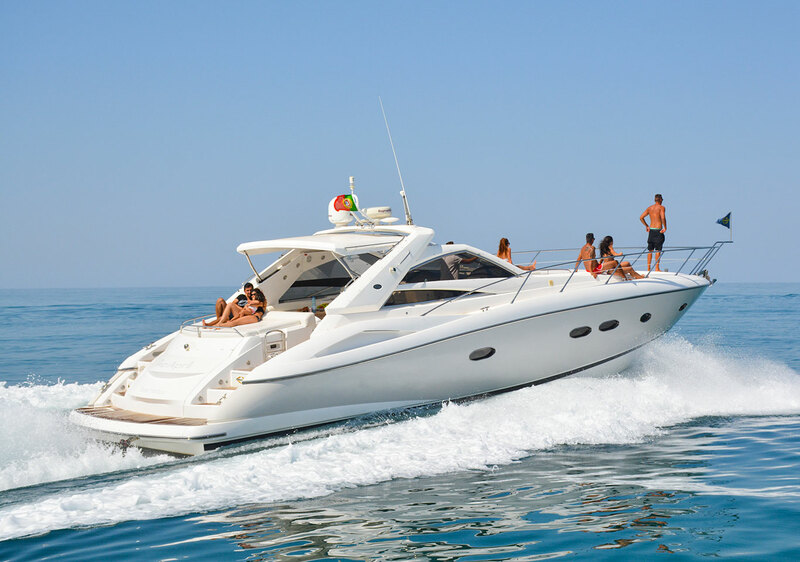 We specialise in Personal, Private and Exclusive Yacht Charters. Whether it is provisioning the yacht with your favourite wine, arranging a surprise anniversary party, Honeymoon or Proposal, your captain and crew will ensure that once you step aboard, you will have the time of your life. The Majestic is one of the highest spec yachts Sunseeker has ever built. Pure artistry with a lavish interior and astounding deck spaces means she will always meet the needs and desires of her guests, promising an unforgettable cruise. Majestic also boats a large swim platform, a well-stocked wet bar and a great sound system. Everything you need and more for the perfect day and evening on board your Luxury Boats in the Algarve. For more information on our Boat Charters, Private Luxury Yacht Charters, Boat Rentals and Special Events or other Services, please get in touch with us from the form below.